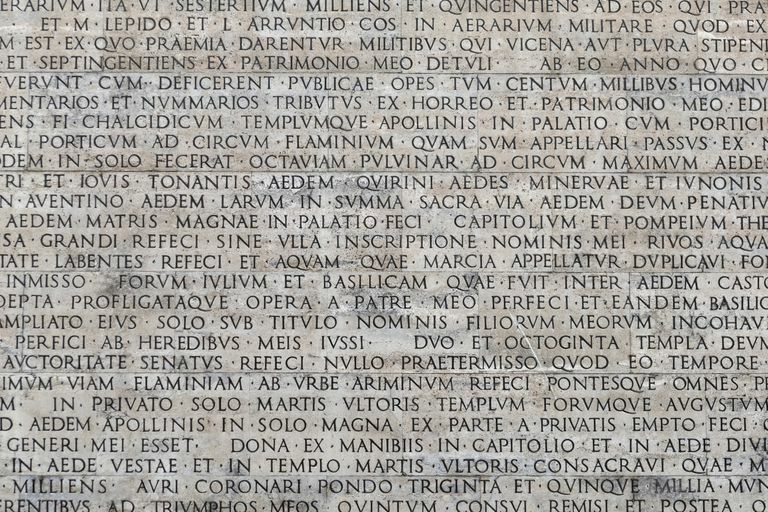 Although the Latin word order is flexible, conventionally the Romans adhered to one of these forms for a simple declarative sentence, but with many exceptions. The most common form is the first Latin one above, SOV, (1): Puella canem amat. The ending on the nouns tells their roles in the sentence. The first noun, puella 'girl,' is a singular noun in the nominative case, so it is the subject. The second noun, canem 'dog,' has an accusative singular ending, so it is the object. The verb has a third person singular verb ending, so it goes with the subject of the sentence. Since Latin doesn't require word order for basic comprehension, the fact that there is a fallback word order suggests that there is something word order does that the inflection doesn't do. Latin word order is varied to emphasize particular words or for variety. Postponement, placing of words in unexpected positions, and juxtaposition were ways Romans achieved emphasis in their sentences, according to an excellent, public domain online Latin grammar, A Latin Grammar, by William Gardner Hale and Carl Darling Buck. First and last words are most important in writing. Speech is different: When talking, people emphasize words with pauses and pitch, but regarding Latin, most of us are more concerned with how to translate or write it than how to speak it. "The girl loves the dog" is, superficially, a pretty boring sentence, but if the context were one where the expected object of her affection was a boy, then when you say "the girl loves the dog," the dog is unexpected, and it becomes the most important word. To emphasize it you would say (2): Canem puella amat. If you had mistakenly thought the girl despised the dog, it would be the word love that required emphasis. The last place in the sentence is emphatic, but you could move it to an unexpected spot, at the front, to highlight further the fact that she loves it: (3): Amat puella canem. (7): Puella felix canem hodie amat. (10): Aurea purpuream subnectit fibula vestem (BbAa) This is a so-called silver line. A golden brooch ties the purple garment. It is a line of Latin written by a master of Latin poetry, Vergil (Virgil) [Aeneid 4.139]. Here the verb precedes the subject-noun, which precedes the object-noun [VSO]. Hale and Buck provide other examples of variation on the SOV theme, which they say is rarely found, despite its being the standard. 1. Remoter modifiers (time, place, situation, cause, means, etc.). Modifiers tend to follow their noun and precede their verb in the basic SOV sentence. Although SOV is the basic structure, you may not find it very often.